Burundi- another small African country with less than 9 million citizens and area of 27,834 km2. Burundi capital city is Bujumbura. Burundi domains are unrestricted however domain name must be a reasonable reflection of company name, trademarks etc. 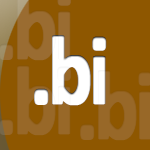 Usually it takes 30 days to register a .bi domain name. Unlimited amount of domains can be registered, they can have from 3 to 63 characters in the name.